Piraeus Bank, the Greek bank, has selected Antelop Solutions as its e-wallet and digital payments partner. “Antelop’s scheme certifications, its PCI DSS compliance and their unique security expertise, were key factors to choose them as our long-term partner,” says John Raptakis, head, transactional banking systems, remote banking at Piraeus Bank. “The scalability, agility and fast time-to-market of Antelop’s Software-as-a-Service (SaaS)-based approach is very attractive and will deliver an enhanced service to our customers,” he adds. Antelop was founded by Visa ex-employees, and its solutions and mobile payment solutions support Visa, Mastercard and Cartes Bancaires applications. Antelop says it can be integrated into any existing environment. 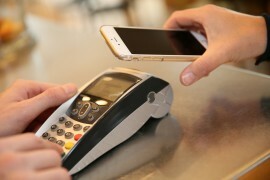 Antelop was the first company to reach Visa security compliance for mobile NFC payments, in 2015. Last week, it received certification from Visa as a token requestor-token service provider (TR-TSP). Crédit Mutuel Arkéa also uses Antelop technology for its mobile payments, since February 2017.